Your Roll Up Gate Not Rolling? Whether you own a business yourself or have just walked down the street in a commercial district or open air mall, you’ve certainly seen these curtains of corrugated metal sealing off the doors and windows of closed shops. 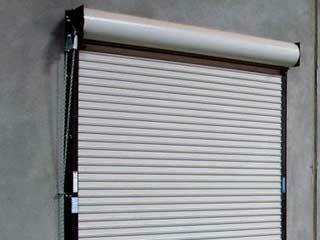 Roll up gates are mechanical shutters that combine the strength of steel with the unobtrusiveness of cloth. Despite being made of hard steel, these structures have incredible flexibility. Each of their many slats is only a few inches (at most) across, and fitted into the others above and below them with hinge-like tubular ridges that allow each to tilt away from one another’s planes. The top of this hinged, steel curtain is attached to a spinning rod thick enough for the slates to wrap snugly around. When the rod is rolled upward or downward, the entire metal surface is rolled or unrolled around it like a roll of cloth. Each slat needs to be made individually and then coated in zinc to galvanize it against rust before being slid into place among the others and secured there. In addition to the slats and rod, a roll up gate requires tracks along the walls, floor, or window frame that it’s meant to cover in order to secure it in place horizontally a system of torsion springs to provide the lifting force, and usually an electric motor or “opener” to catalyze and regulate the movements. The greatest selling point of the roll up gate is that, when open, it’s all but completely out of sight and out of the way. Unlike an overhead door that takes up a massive area of the ceiling or a shutter that requires ample wall space above the opening, a roll up system fits into one thin strip around its spool when the shop or other business is open. With careful engineering, steel can be made as flexible and compactable as cloth without losing the strength and toughness that provide security. Found yourself dealing with an unexpected problem? Don't stress! 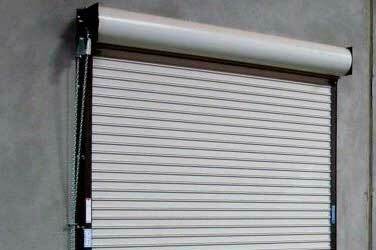 Contact Gate Repair New York today to get your roll up system repaired or to have a new one installed (if that's what you need).